Here are some links that we think are useful. Refund Advantage provides a flexible pricing model and web based system for Taxware users to provide bank products. Tax Products Group (TPG) is located in San Diego, California and was established in 2010 upon the sale of the Santa Barbara Bank & Trust tax products division. Building on a legacy of nearly 20 years of industry leadership and superior customer support, TPG, in cooperation with our banking partners, provides fairly priced quality financial products which deliver true value and satisfy consumers’ needs. TPG offers tax-related financial products through a network of tax preparation franchises, independent tax professionals and online tax preparation providers. River City Bank handles bank products for taxpreparers that file direct to the IRS using Taxware Software. As a client of Taxware Systems you are entitled to receive 10-25% off all TheTaxBook products and free shipping year-round! When ordering, be sure to use Taxware’s Promo Code 785 to ensure you receive the negotiated discount. Click Here to learn more about the 5 Free Services included with every order. Texting has 99% read-rate within 2 minutes! 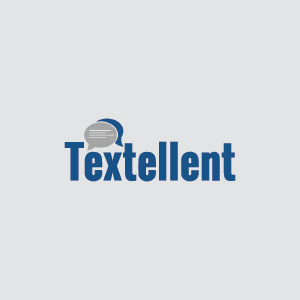 Textellent offers a unique Personalized Texting service, designed specifically for Tax & Accounting Professionals, and it’s integrated with Taxware. Their service includes self-service appointment scheduling and appointment reminders. Text messages are personalized, relevant and come from a “real” phone number enabling two way communication. Electronic signature pad by Topaz can be used to add signatures to PDF documents so clients can be completely paperless. The signature pad can be purchased by ordering through Taxware. Please contact us for details. National Payment Corporation allows our Winpay users to provide Direct Deposit Plus and EZStub to their payroll clients. Taxware bank enrollment instructions for the 2017 tax year. Software used for meetings with Taxware Sales team members. Official website of IRS that includes downloadable forms and instructions. E-Services is a suite of web-based tools that allow tax professionals, reporting agents, mortgage industry and payers to complete transactions online with the IRS. IRS Interactive Tax Assistant is an IRS “tool” that uses a series of questions to provide you with responses to tax law questions. Status page for IRS Modernized e-File system. Information on this page usually reflects information released in IRS QuickAlerts. A good source for issues that may effect IFA or A2A efile (QuickAlerts are still the best source). IRS page to login to IFA system for MEF efile. Used for transmitting direct to the IRS for EROs set up as Transmitters. QuickAlerts is a FREE, online service that disseminates mass e-file messages, within seconds, to all “subscribed” individual and business e-file Software Developers, Transmitters and Authorized IRS e-file Providers. IRS page for the section on the “Proposed New Requirements for Tax Return Preparers”. The page has information on the requirements and links to a webinar and video discussing it, a FAQ section, and other relevant or needed details.